Nick Gwiazdowski is a 2x NCAA Wrestling Champion, 4x All-American, 3x ACC Conference Champion and 3x ACC Conference Wrestler of the Year at North Carolina State. 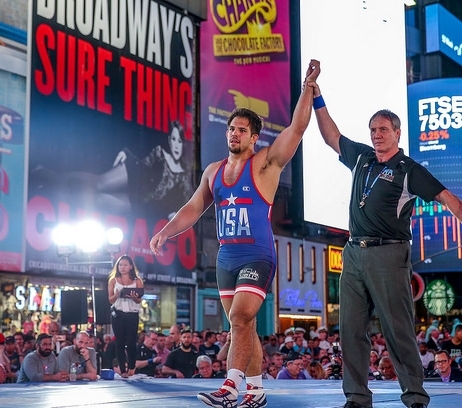 Finished with his NCAA eligibility Nick has set his sights on making the 2020 Olympic Wrestling Team. Nick recently won the 2017 US Open. Nick has won back to back Bronze medals at the 2017 and 2018 World Championships. He is a Takedown Sportswear and Asics Wrestling sponsored athlete.